Friday Yoga Email time again but this time with cherry blossom in the trees, the positivity of Spring in the air and a faint, wintry sun whose rays will be hot and unhidden before too long. With this sense of blossoming and positivity I want to share this with you the thoughts of Scott Johnson, founder of Stillpoint Yoga in London Bridge and Brixton. Scott is a teacher I know a little but instinctively admire greatly. He has written a beautiful piece is about listening properly, not just with ears but “listening to the way that our own life is playing out”. He writes that this deeper listening is hard and we might not like what we hear; we might witness the ingrained narratives and hideous stories we tell ourselves. Yoga can point out how we physically experience the mind’s false narratives in the body and feel their tones and sensations (or aches and pains!). We can ultimately, in time, change our approach to those false narratives and let them go. This might be an inappropriate relationship of a false career path. (My CV is an unending list of those!) Letting go happens through creating new stories and creating new positive habits. “This is deep practice. This is yoga”. It’s such a lovely read. It’s like a yoga practice; you’ll feel better after reading! I have been asked about the mats I have in the studio. The green one is a Calyana mat. The cost is around £50 but I found it here for £20. The next one, several steps up in price, is the Atmananda mat by New York ‘mat creator’ Jhon Tamayo. Here it is at £75. I bought a little stock of the LOVE MAT by Lāal from the yoga show. I feel that they should have a Barry White voice but they are from Paddington’s motherland, Peru! They’re a cheaper version of the Liforme mat (which is around £100). These are £55 and you just need to pop over if you want one. See picture attachment. Otherwise, forget about mats and just come to class! See what’s available here. (I update this every Friday before posting this email.) Book here. Next Sunday (15th) at 8.30-9.45 I’ll be teaching at Yoga West. It’s an Ashtanga class. The address is: 33-34 Westpoint, Warple Way, London W3 0RG. Here’s a map. It’s a very nice space to practice in with floor-to-ceiling windows and endless energy in the room. Come for the change of scene. Triyoga is holding a whole week of free Hot Yoga. This freedom-to-sweat takes place next week. Book online or visit Triyoga Ealing. I’m looking forward to studying at Stillpoint Brixton this weekend with Eddie Stern from the Brooklyn Yoga Club. I found this thought from him: ‘So, which Ashtanga Yoga is “pure”? The version that Pattabhi Jois taught in 1937 at the Sanskrit College? How he taught in 1948 when he opened his first institute? The version the first Americans learned in 1972? What I learned in 1991 when I started with him? Or today, as Sharath teaches it?’ I wonder why the idea of a pure practice even arises. Come with me! Here is The Times telling us about one woman’s journey from yoga derision to yoga devotion. 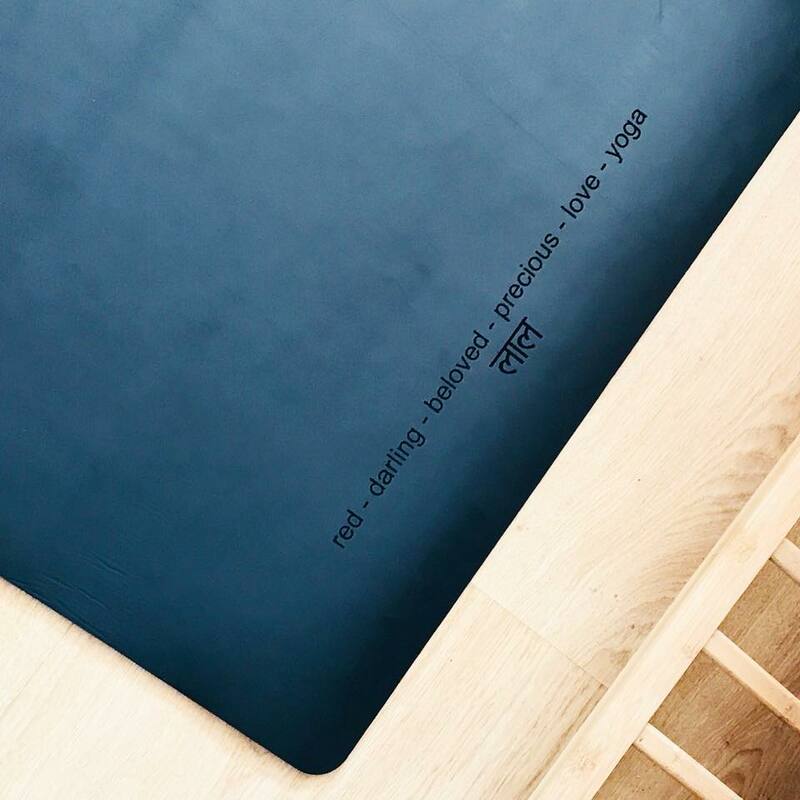 There is one nice thing she says about her yoga mat: “It bears witness to what you do on it, and what you think on it, day after day. And, somehow, as a result… you actually stop thinking. And even if you don’t stop thinking, when you finish your practice you always feel more clear-headed than you did before you started.” The second half of the article is about Yin Yoga and Simon Low. (Not an easy read if you’re an ex-sub! ).